Our commercial and business litigation attorneys represent retailers, family business institutions, manufacturers, financial institutions and large corporations. Our attorneys work with you to understand your goals, discuss how the court’s previous rulings will affect your case, and identify the best means to resolve your dispute cost effectively. We represent clients in a broad spectrum of business litigation matters, including shareholder disputes, partnership disputes, non-competition agreements, liability of corporate officers and directors, breach of contracts, theft and embezzlement, trade secrets and unfair competition. Because we use a team approach, Rhoades McKee clients have a unique advantage: our attorneys readily consult with other Rhoades McKee attorneys that are also CPAs, real estate, and tax attorneys. Having these specialized and concentrated skill sets on one team also gives our clients a cost-effective approach to protect the value of the business. If disputes cannot be settled, we work hard with our clients to achieve their goals by litigating cases quickly and economically. We have successfully tried hundreds of cases before juries, judges, and arbitrators in federal and state courts and in administrative agencies throughout Michigan. Our efforts and representation of Michigan businesses has earned the respect and recognition of our peers. US News Best Lawyers named our commercial litigation team a Tier 1 Best Law Firm serving the Grand Rapids metropolitan area. At Rhoades McKee, we understand and respect our client’s budgets and deadlines, emphasizing case management, risk evaluation analyses, frequent communication and, above all, adherence to our client’s goals of protecting their business interests. 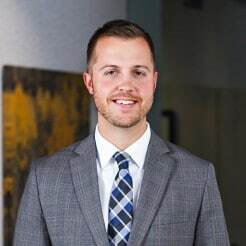 To learn more about our commercial and business litigation services or speak with an attorney, connect with us below or call Stephen at 616.233.5155.